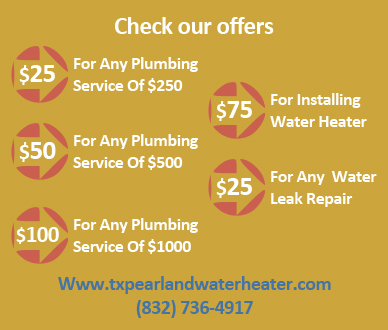 If you have drainage issues in your home in Pearland, Texas, Harris, Fort Bend and Brazoria counties, you won’t hire an amateur to fix them for you. You probably wouldn’t attempt the work either if you don’t have the experience, tools and the knowledge. Instead, you should hire our plumbing services to help you in cleaning a garbage disposal because we are a professional service. We provide the fastest, effective and timely garbage disposal plumbing when yours is leaking, jammed or otherwise not functioning. It is not necessary for you to spend a weekend struggling with a clogged garbage disposal since you can’t find the right one or if you do the plumbing under your sink is different. 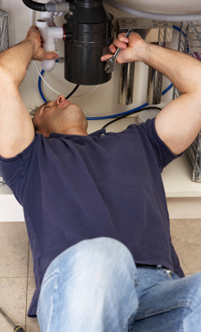 We have a ready team of skilled plumbers ready to assist you install a new unit or rework your plumbing. If you need help, there is no reason to go it alone. Call us to quickly help you. Sometimes it pays to have a local service especially when you need help fast. That is what our garbage disposal maintenance services provides to you. We are able to come quickly if your kitchen is starting to have an odor because of clogged waste disposing system. We specialize in unclogging a garbage disposal using state of the art equipment. Call us whenever you need our services, we are always ready to help you. There are certain things that are not cost-effective to keep repairing. Sometimes it pays to just change them. If you have a clogged kitchen sink and need a new garbage disposal installed, our locally available plumbers are your best bet. 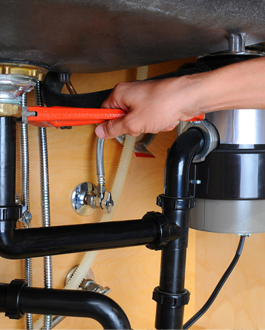 If you need to repair garbage disposal we will be happy to work on this job for you. We make it easy to service your system because we are very familiar with how this system works and can be in and out of your home in matters of minutes. 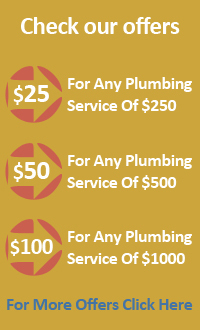 You can also trust our plumbers to fix your plumbing if you need additional repairs.